Our Advisory Council is made up of friends of BiblicalTraining who are committed to our mission and help us think through important, broad-stroke issues of the ministry. We are thankful for their time and commitment. Steve currently works in the Office division in the Office Extensibility team, which is responsible for extensibility, APIs and information worker tooling across Office, including the developer ecosystem and Microsoft Access products. Previously, he worked on Visual Studio in the Cloud Platform Tools group, which is responsible for tooling for Azure, Office and business applications more generally, including LightSwitch. 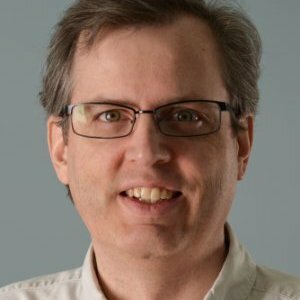 Previous to that he was a Partner Software Architect (Microsoft) and a Technical Fellow and Dynamics Chief Architect (Great Plains Software). See his LinkedIn account. As Global Associate Director for Collaboration and Content for the Lausanne Movement , David coordinates the work of the Lausanne Catalysts (who lead the more than 30 Issue Networks), serves as Managing Editor for the Lausanne Global Analysis and leads the Content Team. He has served as a youth worker, associate pastor, and church planter, and as Senior Pastor of globally-involved churches in California, Oregon and Massachusetts. He holds a B.S. from the Massachusetts Institute of Technology, and M.Div., D.Min. and Ph.D. degrees from Fuller Theological Seminary. David has engaged in teaching, preaching and research in Asia, Africa, Europe and Latin America, with particular focus on India. He served as principal author for Lausanne Occasional Paper #41: A Call to Develop Christ-Like Leaders, and has written three books on biblical principles of leadership, including Metaphors of Ministry: Biblical Images for Leaders and Followers (Wipf and Stock, 2004). Since 1990 he has been on the board of First Fruit, Inc., an evangelical foundation, and since 2000 on the board of Asian Access. His wife Phyllis serves as Director of the Women's Center for Ministry at Western Seminary in Portland, Oregon. They reside in Washougal, Washington, and have two grown sons and seven grandchildren. Joseph W Handley, Jr. (@jwhandley) is the president of Asian Access. Previously, he was the founding director of Azusa Pacific University’s Office of World Mission and lead mission pastor at Rolling Hills Covenant Church. He co-led one of the first multi-national high school mission congresses in Mexico City in 1996 and is a contributing blogger for the Billy Graham Center’s EvangelVision Blog. Joe serves on the International Orality Network leadership team and the board of PacificLink. He is pursuing a Ph.D. in Intercultural Studies at Fuller Theological Seminary. Joe strives to develop leaders who multiply churches that transform nations. Asian Access is a vibrant community. We are an interdenominational movement working throughout Asia to identify, develop and release leaders of growing and reproducing churches. We're focused on training key leaders who will lead the church with vision, character and competence. We are becoming a vibrant community of leaders in twenty countries of Asia, who will unite the church, extend the Kingdom, and transform the cultures of Asia for the glory of God. Dr. Roberts’ ministry experience began with a variety of internships at Arcade Baptist Church in Sacramento before beginning seminary (he also taught Bible at a Christian high school). After graduating from Western Seminary he split time serving as the seminary’s Guided Field Education director and as Pastor of Assimilation at Lents Baptist Church in Portland. In 1987, he became full-time special assistant to the president. He shifted to academics in 1998, serving first as dean of faculty and then as academic dean/provost until becoming president in 2008. 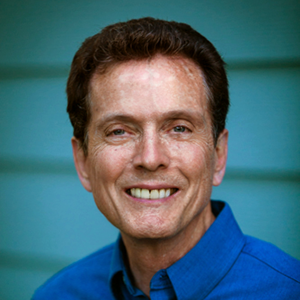 Since 1987 he has taught a number of courses in spiritual formation, church history, and ministry design. Parallel to his time at Western, Dr. Roberts has served in a variety of congregational lay leadership roles (elder, deacon, etc.) in both existing congregations and church plants. He continues to teach Sunday school classes and church workshops. 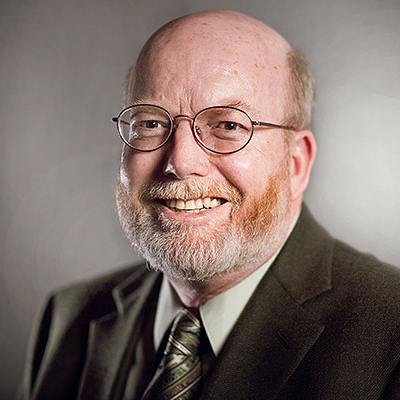 He also served for three years as a first round judge for the ECPA Gold Medallion Award, and chaired the Northwest Regional section of the Evangelical Theological Society in 1986 and the Evangelical Seminary Deans Council in 2006. Dr. Simmons is a practicing physician trained in Emergency Medicine, a rancher and equestrian, and mother to two children in Tyler, TX. 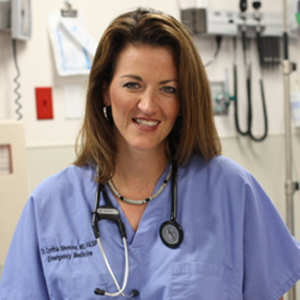 She began her career in Emergency Medicine and EMS systems in 1994. She serves as the Medical Director for several emergency rooms within the East Texas Medical Center System and is a the Medical Director for the City of Arlington and the Arlington EMS System in Arlington, Texas. In this capacity, she has been the Medical Director for high profile events at the Arlington AT&T Cowboys Stadium, Texas Rangers Ballpark and many concerts and other venues in Arlington. She has provided medical direction for Superbowl XLV, Major League Baseball World Series games, NBA Final Four, NCAA Cotton Bowl games, and countless other events. In her personal time, Dr. Simmons owns Diamond CJ Ranch and competes on the Ghostriders Equestrian Drill team, which is comprised of western riders throughout the East Texas area. However, she describes her most important role is serving as a mother to two very active children.